Knowing what the best woods for picture frames are shouldn't keep you on pins and needles. Or maybe I should really say "cones and needles" to be more accurate. Huh?? Read on to see what I mean! You can make a them out of just about any type of wood around, but there is a difference in quality, beauty and the ease of working with it and staining it. I've broken down some of the basic info to help you get a better handle on what you should look for when you are ready to take your framing to another level. There are two types of trees: deciduous and coniferous. One looses it's leaves each fall and one doesn't. One produces woods that are arguably more attractive for picture framing than the other. So, grab a bowl of nuts or some fruit and enjoy learning how nuts and fruit can help you make beautiful picture frames! most are easy to "machine"
There are always some exceptions. Some hardwoods, like hickory, are more difficult to stain well. 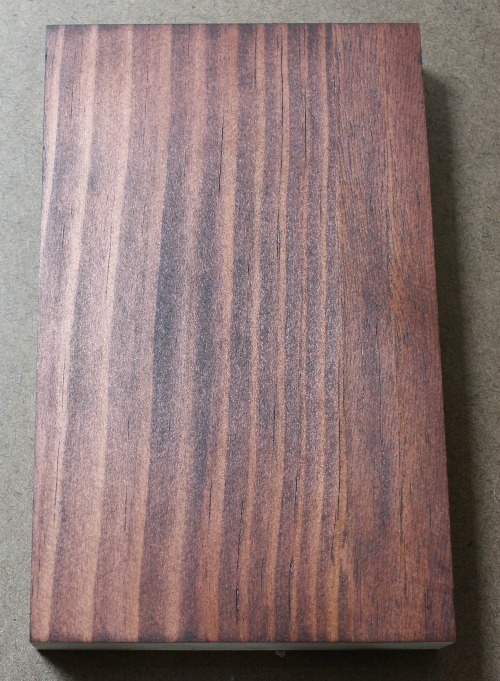 Poplar poses a challenge also, but if you use a sealer before you stain, it works much better. Some maple can be hard to cut and use a router on. Oak and ash are very porous and typically require more coats of stain and finish unless you "fill the wood" before hand. Some times trial and error is the best teacher, but to help, here is what my experience has taught me. When starting out with woodworking and framing it makes sense to begin with cheaper wood that is easy to get. Just being cheap at this point qualifies for THE best woods for picture frames. Pine and poplar both fit the bill. Pine is a soft wood (needles) while poplar is a hard wood. You can buy both in most big box home improvement stores at fairly cheap prices. After that there are some limits to their value for picture frames; outlined below. This is one of the biggest draw backs on using pine and polar for frames. Neither of them have what would be typically considered beautiful natural color or grain patterns. Pine of course has more "interesting" straight grain, which can look like a bar code. Poplar is light on grain and often has a mix of green, brown and sometimes even purple patches. Interesting yes, but they can't compare to some of the more beautiful hardwoods. Trying to stain either of these woods is challenging. They don't stain particularly well. 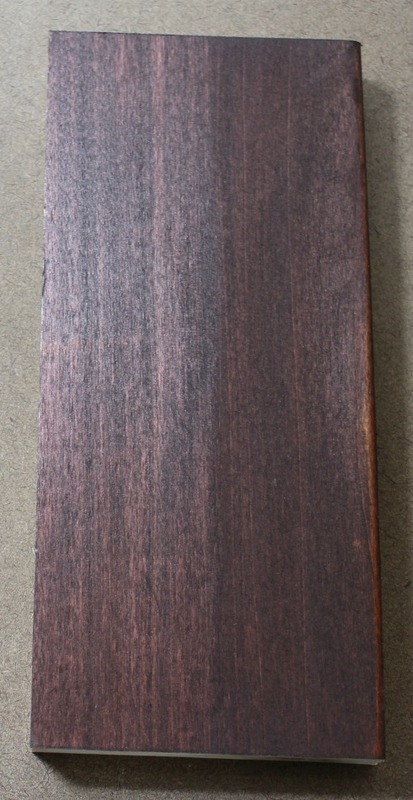 Pre-treating the wood may help to some degree, but being sort of bland to start with, staining doesn't add much anyway. Painting pine or poplar however works very well. Not only do they take the paint very well, the paint helps cover up the bland looking grain and natural color. While I may not classify pine or poplar as one of the best woods for picture frames based on natural beauty, they are very easy to work with in all ways. 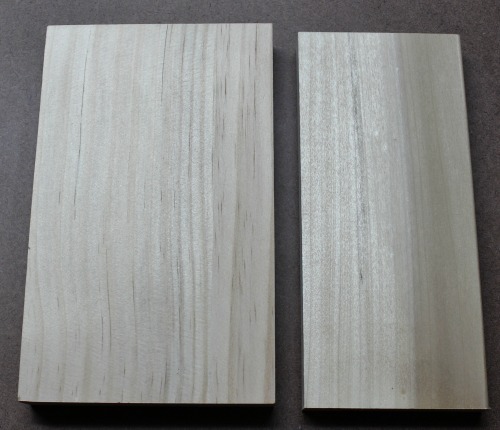 In fact, they may be the easiest types of woods I have used to rip on the table saw and run through the router. They are soft and machine VERY well. Its been very rare, in my experience, for either to split or tear. Readily available at just about every home improvement store and many art stores. Both, pine and polar, are cheap and great woods to choose when learning how to make frames. You'll save money as you learn (and recover from mistakes) and you'll fine tune your skills so when you are ready to take it to the next level - more expensive wood - you'll be more confident and more accomplished. For these reasons, I had to include them on the list of the best woods for picture frames. When you're ready to take it to the next level, these woods should be considered.